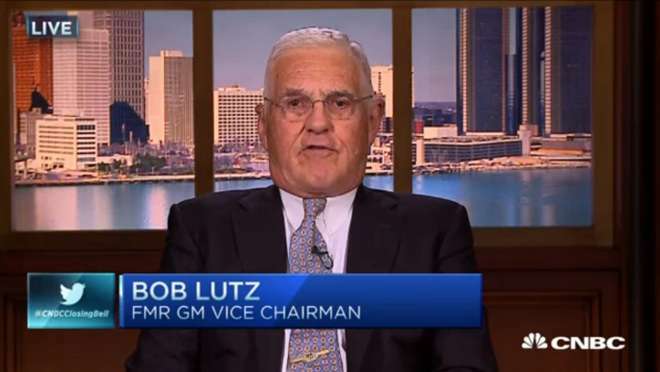 Despite having no apparent personal knowledge of an Apple-built electric car, former General Motors vice chairman Bob Lutz proclaimed this week that shareholders should be "very upset" that Apple may be eyeing an entrance into the automotive business. Appearing on CNBC's "Closing Bell," Lutz said that no company in the world has "made a nickel" on electric cars thus far, while Apple's current primary business —the iPhone— is a highly successful, high-margin business. Apple is believed to be working on its secret automotive project at a facility known as "SG5" in Sunnyvale, Calif., under the cover of a shell company named "SixtyEight Research." "When it comes to actually making cars, there is no reason to assume that Apple, with no experience, will suddenly do a better job than General Motors, Ford, Volkswagen, Toyota, or Hyundai," Lutz said. "So I think this is going to be a giant money pit. "But then it doesn't matter —I mean, Apple has an embarrassment of riches, they don't know where to put the cash anymore." When asked whether Apple could partner with current automobile makers to manufacture a vehicle, Lutz said he sees it as a possibility. Specifically, he said he could see a company like Hyundai or Kia handling the manufacturing of the vehicle, allowing Apple to put in the remaining pieces to complete the product. AppleInsider exclusively reported earlier this month that major manufacturing roadblocks have Apple considering such partnerships as it pushes forward with its electric car project. Overall, Lutz is bearish on the electric car market, and the former GM executive suggested that manufacturers are only pursuing electric vehicles to meet emissions requirements in place in Europe and the U.S. He suggested that perhaps Apple could sell electric vehicle credits to other companies that need them in order to turn a profit, but even that would be a stretch, in his eyes. "If I were a board member of Apple, I would ask some serious questions about this whole thing," Lutz told CNBC. Of course, executives from smartphone companies made similar claims about Apple prior to the debut of the first iPhone. Most famously, Palm CEO Ed Colligan responded to rumors of an Apple smartphone by saying that the market was difficult and established companies had expertise that Apple could not match. "PC guys are not going to just figure this out," Colligan said in an interview with The New York Times. "They're not going to just walk in." Even after the iPad was announced in 2010, reactions among high-profile tech industry leaders were negative. One of the most notable critics was Microsoft founder Bill Gates, whose immediate reaction was to say that netbooks with real keyboards and touch input were superior. "It's not like I sit there and feel the same way I did with iPhone where I say, 'Oh my God, Microsoft didn't aim high enough,'" Gates told CBS News in 2010. "It's a nice reader, but there's nothing on the iPad I look at and say, 'Oh, I wish Microsoft had done it.'" As for the rumored Apple vehicle, dubbed "Project Titan," the latest rumors this week claim that the company has an aggressive internal target ship date of 2019. While some reports have claimed Apple is working on a self driving car, it was said that the first-generation vehicle will not be autonomous. AppleInsider exclusively reported earlier this year that the bulk of "Project Titan" development is underway at a secretive facility in Sunnyvale, Calif., known by the code-name "SG5." Evidence suggests that a shell company known as SixtyEight Research may be a cover for Apple to help conceal its true operations at the Sunnyvale garage.